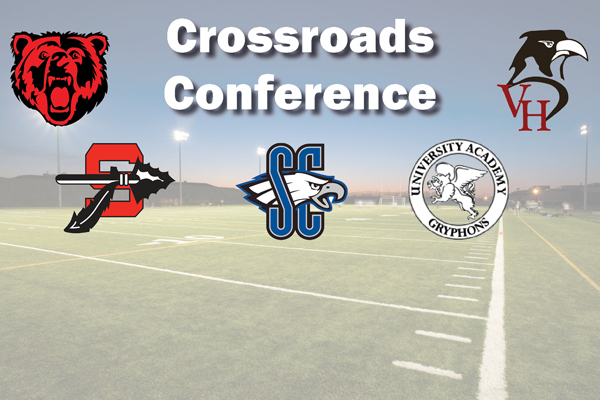 The Crossroads Conference is an interesting mix of public and private schools spread out over three classes with schools located in the city and south of the Metro. With that much diversity there has been a few different champions over the last few years. Last season Summit Christian won the league for the second straight year stopping a two-year run by Van Horn. Butler has also won the league in the last five years and this year it could be the newest school University Academy who takes the crown. Summit Christian has been the strongest but now the Eagles are replacing key starters from last year’s 11-2 squad. Butler lost good players as well but they bring back a balanced and deep team. University Academy has experience and is playing with a lot of pride after finally getting their own home stadium late last year. Van Horn is young but improving and Sherwood brings back a lot of players from a team that failed to win a game last season. Needless to say it could be anybody’s title to win this season. Here is a quick look at the teams in the Crossroads Conference. Biggest Challenge: Coming off a very successful 2016 Butler enters the season lacking the starting experience from a year ago. Taking the lead this year will be a big group of juniors and seniors that are all of similar talent levels. This summer that sameness of talent has made putting together a starting group and fitting players in the right spot a bit of a challenge. Outlook: While the standout college level talent from last year is gone, this year’s group is deep and versatile. The Bears might not have the game breakers but they do have plenty of players that will allow for lots of depth. That depth could be a huge factor down the stretch in conference play and when districts roll around. Biggest Challenge: A new coach takes over but he is familiar with the program after spending the last year as an assistant. While the players are familiar with the head coach there are some big changes taking place. The Marksmen are running a whole new offense and defense so adjustments are being made all over the field. Outlook: Sherwood brings back good numbers and the enthusiasm is high even coming off a winless season. There has been good participation in the offseason and this young group is looking to take some big steps forward. The Marksmen could be the Crossroads team that sees the most improvement from 2016 to 2017. Biggest Challenge: Todd Berck takes over for Dalton Vann becoming only the second head coach in school history. The offense will remain the same but there are changes on defense. Much of the work in the offseason has been spent finding the right spots for players after losing a very talented senior class. Biggest Challenge: The Gryphons are in the process of replacing a two-year starter at the quarterback position. How fast the new quarterback gets up to speed will have a big impact on the offense early in the season. Outlook: University Academy looks like it could be poised for a run at the Crossroads Conference title. There is lots of experience back on both sides of the ball led by a veteran offensive line. There are some holes to fill most notably at quarterback and if that position solidifies the Gryphons could be in for a fun season. Biggest Challenge: It’s the second year for coach Harris and his staff at Van Horn and the Falcons return a good number of starters on both sides of the ball. While there is experience back it is still a young group and there is a lot of learning still happening. That young group will be looked to for a lot of production so the time to perform is now. Outlook: In what is a wide-open Crossroads Conference Van Horn is another team with good young players that have experience. The schedule outside of the league will test them so the Falcons will need to stay healthy if a conference title is to be a possibility.